Fleetwood Town Football Club is a professional association football club based in the town of Fleetwood, Lancashire, England. The team compete in League One, the third tier of English football. Established in 1997, the current Fleetwood Town F.C. is the third incarnation of the club which first formed in 1908. Their home strip is red shirts with white sleeves and white shorts. The home ground is Highbury Stadium in Fleetwood and its supporters are affectionally known as The Cod Army. The club won the 2011–12 Football Conference, and played in the Football League for the first time in the 2012–13 season. In May 2014, at Wembley, Fleetwood won the promotion play-off to League One, the club's 6th promotion in 10 years. The current club was officially established in 1997 but, in two previous incarnations, the club's history dates back to 1908. The original club, Fleetwood F.C., were champions of the Lancashire Combination in 1923–24, and registered a hat-trick of Lancashire Combination Cup wins in 1932, 1933 and 1934. Their goalkeeper in the first of those victories was Frank Swift, then only eighteen years old. After almost sixty years as a Lancashire Combination club, they were made founder members of the Northern Premier League in 1968. The club finished in 10th place in their first season. As the NPL was one of several leagues immediately below Division Four of the Football League, this was effectively the fifth tier of English football, and the club would not surpass this success until 2010–11. 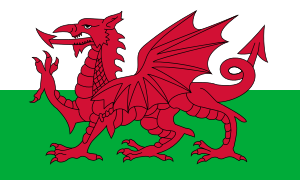 Despite winning the Northern Premier League Cup in 1971, the club languished in the lower half of the table, finishing bottom for two successive seasons (1974–75 and 1975–76) and folded in 1976 because of financial difficulties. Great players include the late Percy Ronson, after whom one stand is named. The club was re-established in 1977 as Fleetwood Town F.C., with many of the original personnel. Initially placed in Division One of the Cheshire League, they were moved in 1982 to the North West Counties League Division Two in its inaugural year, and promoted to Division One in 1984. They reached the final of the FA Vase in 1985, losing 3–1 to Halesowen Town in front of a 16,000 crowd at Wembley. The club was placed in Division One (second tier) of the Northern Premier League when the league established a second tier in 1987, becoming the inaugural Division One Champions in 1988. In 1990–91 the club finished 4th in the NPL Premier Division, then effectively the sixth tier. 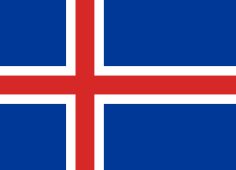 However, by 1996, this second club had also folded. Re-formed in 1997 as Fleetwood Wanderers, the club was placed back in Division One of the North West Counties Football League (now the tenth tier of the English League system) and a sponsorship deal saw the club's name immediately changed to Fleetwood Freeport F.C.. The club was promoted to the Premier Division of the North West Counties League in 1999 and renamed Fleetwood Town F.C. in 2002. Tony Greenwood was appointed manager in 2003, and soon afterward, Andy Pilley took over as chairman. Successive promotions as North West Counties League champions in 2005 and Northern Premier League First Division runners-up in 2006 saw the club reach the Northern Premier League Premier Division. In the 2006–07 season Fleetwood Town won the Northern Premier League Challenge Cup beating Matlock Town 1–0 and finished the season in 8th place with 67 points. The 2007–08 season Fleetwood won the Northern Premier League, gaining promotion to the Conference North. Along the way they set a new attendance record for the division, and were easily the best-supported club in the Premier Division. Fleetwood started the 2008–09 Conference North season poorly and, with the club at the bottom of the league, manager Tony Greenwood along with his assistant, Nigel Greenwood and coach Andy Whittaker were sacked. Greenwood was replaced by Micky Mellon, who also remained as Under-15 and Under-16 coach at Burnley. 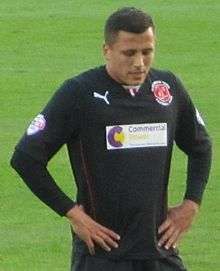 In January 2009 his position at Fleetwood was made full-time, a first for the club. Fleetwood reached the Second Round Proper of the F.A. Cup for the first time, but were beaten 3–2 by Hartlepool United at Highbury, in front of a then record crowd of 3,280. The demise of Farsley Celtic partway through the 2009–10 was detrimental to Fleetwood's campaign, as Farsley's entire 2009–10 playing record was expunged. Fleetwood were chasing promotion along with near neighbours Southport, and the ruling cost Fleetwood three points relative to Southport. Fleetwood appealed against the decision but the appeal was rejected the day before the last match of the season, leaving Southport one point ahead. Both teams won on the final day, giving Southport the championship. Fleetwood instead had to contest the play-offs, and after beating Droylsden on penalties in the semi-final Fleetwood won promotion to the Football Conference by beating Alfreton Town 2–1 in the final. For the 2010–11 season the club made all of its players full-time professionals, though this resulted in a few players leaving the club, including club captain Jamie Milligan. The club spent most of the season in or near the play-off positions, eventually qualifying by finishing in fifth place. In the play-off semi-finals, against AFC Wimbledon, a new attendance record of 4,112 was set in the home leg, but Fleetwood lost both games with an 8–1 aggregate scoreline. Fleetwood's 2011–12 season was very successful. In the FA Cup they reached the Third Round for the first time. After beating Mansfield Town, Wycombe Wanderers, and Yeovil Town, they were drawn at home to local rivals Blackpool, but lost 5–1 to the Championship club, with Jamie Vardy scoring Fleetwood's only goal. In the league Fleetwood went on a 29-game unbeaten run, and were declared champions with two games remaining, giving them promotion to the Football League for the first time. Fleetwood had a good start to the 2012–13 season and had risen to 3rd in the league after 10 games. However Fleetwood only won 2 of the next 10 games slipping to 6th and there was a fall out between chairman Andy Pilley and manager Micky Mellon after Mellon allegedly applied for the Burnley and Blackpool managerial vacancies. On 1 December 2012 following a 3–2 defeat against Aldershot in the FA Cup Mellon was sacked as manager of the League Two side. On 6 December 2012 Graham Alexander was appointed manager. Fleetwood were unbeaten for the next 5 games and after a steady run of results had risen back to 4th place after 11 games. However Fleetwood only won 2 of the remaining 15 games and consequently slipped down the table to finish 13th in league 2 resulting in a large rebuilding of the squad. The 2013–14 season was another successful one. Having been in and around the automatic promotion places all season and getting to the League Trophy area final, the club narrowly missed out on automatic promotion finishing in 4th place. After beating York City in the play-off semi-final, Fleetwood beat Burton Albion 1–0 from an Antoni Sarcevic free-kick in the play-off final at Wembley on 26 May to win promotion to League One for the first time. Playing at the clubs highest level the 2014–15 season was the club's most successful yet. After three games the club was top of the league for two games and apart from a couple of games remained in the top half of the league all season eventually finishing a very credible 10th place. Notable results was a great 2–1 win away to Sheffield United and good home draws against Bristol City, Preston North End, Swindon Town, Sheffield United, Rochdale and Chesterfield. 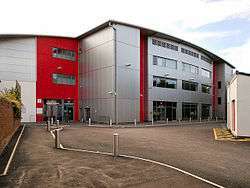 Also in 2014 the club purchased a 57 bedroom hotel in Blackpool for the youth team and in 2015 the club started to move into its new training ground in Thornton. 2015–16 was a difficult season. In July 2015 chairman Andy Pilley announced that the club's strategic direction would move more towards a self-sustaining model utilizing the development and sell-on of home-grown talent rather than to buy in players to attempt to climb the league pyramid further. The playing budget was trimmed heavily. After a poor start to the season with only 2 wins in 10 league matches Graham Alexander was sacked on 30 September 2015 with the club 1 point above the relegation zone after being beaten 5–1 by Gillingham. On 6 October 2015 Steven Pressley was appointed manager. After a season flirting with the relegation zone, Pressley successfully guided the club to safety 5 points above the relegation zone with 10 wins in 35 league matches and an appearance in the league trophy northern area final. On 20 April 2016 Sir Alex Ferguson officially opened the clubs £8m Poolfoot farm training ground complex with 18 pitches including a floodlit 4G artificial pitch, gym, cafe, bar, offices, etc. In July 2016, Steven Pressley resigned from his position as Manager. Uwe Rosler was appointed manager shortly afterwards. The original 1908 club played on a pitch next to the North Euston Hotel, where the police station now stands. Apart from two years after World War I when the club played on a ground across from the Queen's Hotel on Poulton Road (The Queen's Ground), they remained at the Euston ground until moving to the present ground next to the Memorial Park in 1934. In February 2007 the new Percy Ronson Stand was opened. A £500,000–plus development the stand is all terracing. Originally stated to have a capacity of 1,240, this has since been revised downwards by Lancashire County Council to 621. In July 2007, further plans for the stadium development were announced which included three new stands. The plans were finalized in December 2007 and in March 2008, planning permission was given for the first phase, construction of the north and west stands. Construction began in May 2008, and the two stands were opened for Fleetwood's first home game of the 2008–09 season, on 22 August 2008. The west stand, known as the Highbury Stand, has 550 seats together with disabled and press facilities and the north stand, known as the Memorial Stand, is a terraced stand with an official capacity of 1,473. A new Football League standard floodlight system and perimeter fencing were also installed. The second phase development, the construction of a new East Stand, to bring the ground capacity over the 4,000 minimum required for Conference National football, was originally scheduled for the 2009 close season, but was postponed, and a £125,000 project to re-lay the pitch and improve drainage was instead implemented. 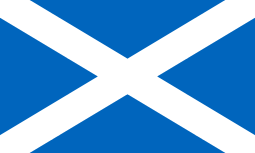 Plans for the stand were revised and resubmitted in December 2009, and approved in March 2010. Its capacity increased to 2,000 and increased the ground capacity to over 5,500, meeting the requirements of Football League membership. The stand had a proposed cost of £4 million. Construction began in May 2010, ahead of Fleetwood's successful Conference North play-off final against Alfreton Town. 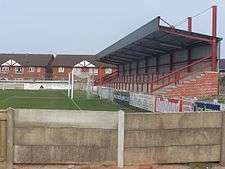 The stand, now named the Parkside Stand, was completed in Spring 2011, and fully opened on 16 April for Fleetwood's game against Altrincham, which they won 3–1. The stadium's current capacity is 5,327; it is the 112th largest stadium by capacity in England and the second smallest in their division. behind AFC Wimbledon's ground, Kingsmeadow/The Fan's Stadium. Fleetwood's traditional local rivals are generally considered by supporters to be near neighbours Morecambe, Southport and Barrow, all of whom have competed against Fleetwood fairly regularly when all three were non-league clubs. Other rivalries with nearby clubs have included those with Accrington Stanley, Chorley, Kendal Town, Lancaster City and Skelmersdale United. Although only having played four times in a competitive fixture, twice in the F.A. Cup (first time being in the first round in 1980 and the second time being in the third round in 2012) and twice in League One in 2015–16, a small number of Fleetwood fans often chant songs about Fylde Coast neighbours Blackpool. Fleetwood Town's main kit sponsors include Commercial Power Ltd and Business Energy Solutions. The 2015–16 average in terms of percentage of ground capacity (which is currently given as 5,327) is 62%. It is a 6% decrease over the previous seasons average attendance. 1 2 3 4 "Highbury Stadium Capacity". Fleetwood Town F.C. 24 April 2012. Retrieved 24 April 2012. 1 2 "England – Northern Premier League". Rec.Sport.Soccer Statistics Foundation. 2 April 2006. Retrieved 23 May 2008. ↑ "Unibond League Premier Division Maximum Attendances – Home Matches". footballwebpages.co.uk. 26 April 2008. Retrieved 6 July 2008. ↑ "Unibond League Premier Division Average Attendances – Home Matches". footballwebpages.co.uk. 26 April 2008. Retrieved 26 April 2008. ↑ Young, Mike (17 September 2008). "Fleetwood sack boss Greenwood". Blackpool Gazette. Retrieved 17 September 2008. ↑ Moore, Andy (24 September 2008). "Mellon can't wait for Fleetwood challenge". Blackpool Gazette. Retrieved 24 September 2008. ↑ "Micky Mellon goes full-time". Fleetwood Weekly News. 8 January 2009. Retrieved 25 April 2009. ↑ "Cambridge 2–0 Fleetwood". BBC. 21 April 2012. Retrieved 24 April 2012. ↑ "Fleetwood Town reach Football League for first time". BBC. 14 April 2012. Retrieved 24 April 2012. ↑ "Trawler men Sack Manager". ↑ "Sky Bet League Two play-off final: Fleetwood beat Burton 1–0 to earn promotion". Sky Sports News. 26 May 2014. Retrieved 27 May 2014. ↑ "Fleetwood's break-even hope". Fleetwood Weekly News. 15 July 2015. Retrieved 22 May 2016. ↑ "Steve Pressley: Fleetwood Town manager resigns from League One club". BBC News. 26 July 2016. Retrieved 26 July 2016. ↑ "Dig It Up!". Fleetwood Town F.C. 21 April 2009. Archived from the original on 14 June 2009. Retrieved 7 September 2013. ↑ "New Stand Plans Submitted". Fleetwood Town F.C. 7 December 2009. Retrieved 9 May 2010. ↑ "Squad numbers for the 2016/17 season confirmed". Fleetwood Town FC. Retrieved 2 August 2016. ↑ "Captain will beat Jack Ainscough's record of 421 appearances". Fleetwood Town F.C. 2 May 2016. Retrieved 15 May 2016. Wikimedia Commons has media related to Fleetwood Town F.C..